Synthesia Internacional is involved in the upcoming Thermal Insulation KEYMARK Conference. The conference will give an overview of the KEYMARK System as a uniform Product Quality Mark for European Consumers in general and will provide details of the VDI / KEYMARK System of thermal insulation products for buildings and industrial applications. 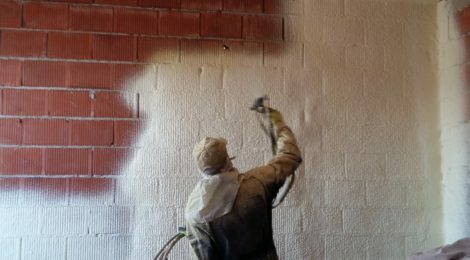 The product’s compliance with the CE Marking only ensures compliance with the minimum legal requirements for thermal insulation products, basically, their reaction to fire classification. Thus, the mandatory CE marking only focuses on the basic requirements met by the products, based on the Construction Product Regulation, and therefore voluntary product certification encompasses all the characteristics defined in the product standards. The KEYMARK is the European Certification Mark showing the conformity of products with European Standards. Whereas CE marking shows the observance of legal minimum requirements, the KEYMARK provides a real benefit for the consumer: tested and certified observance of uniform European Quality Standards. The legally requested CE marking for construction products can be completed thereby in a meaningful way. In the EU member states, an organized and effective market monitoring is rare. For this reason, voluntary product certification, documented by the KEYMARK, is an important instrument for increasing confidence and encouraging the harmonization of national certification schemes. Registered laboratories, the experts in the field of thermal testing working with identified reference test equipment will share experiences and will inform how they can improve to ensure the high quality of the supervised products. The main instrument for that are the implementation of round robins and audits to achieve a transparency and a level of fair playing field, both for manufacturers and laboratories. Synthesia Internacional, a leading manufacturer of polyurethane systems, obtained the Keymark certificates for their systems with thermal insulation function. Read more. 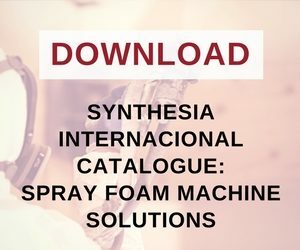 Contact us to receive further details about the certifications or download Synthesia Internacional catalogue.